Reputable IEC's belong to professional organizations such as Independent Educational Consultants Association (IECA) and/or Higher Education Consultants Association (HECA). IECs must meet membership qualifications while abiding by the organization's Principles of Good Practice. In addition, many IECs have high school setting work experience (12 years myself) and may also belong to the National Association for College Admission Counselors (NACAC) and/or their local state affiliates, such as the Illinois Association for College Admissions Counselors (IACAC). The U.S. Department of Education states the student to counselor ratio is 467:1. How can a school counselor find the time to individually meet with each senior to discuss their future plans, find the best fit college, brainstorm/edit essays, assist with the FAFSA/CSS Profile, give them a 'high five' when they receive an acceptance letter and give them a big "I'm proud of you!" when they announce on May 1st where they will attend? An IEC typically works with a smaller caseload. IECA states this is an average of thirty high school students, not just seniors. This allows each IEC to personally develop a relationship with each family. An IEC is also readily available via email, text or call for quick questions, or can easily schedule appointments to meet with parents and/or students who have concerns, are stressed or would like to complete 'just one more essay.' In the very competitive college admissions world, having someone behind you, helping to guide the process is priceless. 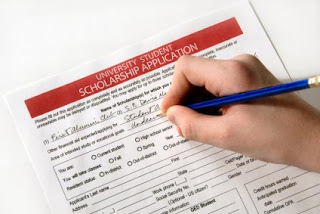 As colleges begin to send out financial aid award letters, now is as a great time to discuss financial aid. Listed below are four types of 'awards' typically found on a financial aid letter. If you have questions regarding your family's financial aid award letter or how to prepare for the rising cost of college, contact us. 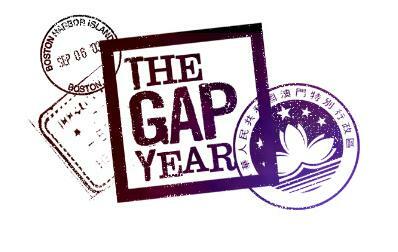 The term gap year came into America's mainstream vocabulary last year with Malia Obama's announcement that she will delay her entrance into Harvard until Fall 2017. An Australian and European mainstay, the gap year means an academic year spent between high school and the start of college to pursue enrichment opportunities. This Memorial Day weekend will mark the 100th running of the Indianapolis 500. In honor of the "Greatest Spectacle in Racing," I felt it was only appropriate to write about Saint Mary-of-the-Woods College, located just outside Terre Haute, Indiana. St. Mary-of-the-Woods College is Indiana's oldest Catholic college. It was founded in 1840 by Saint Mother Theodore Guerin, founder of the Sisters of Providence. The school is still run by the congregation with nearly 300 sisters residing on campus grounds. In 1984, the campus began offering co-educational graduate school programs and in 2015 began offering men the opportunity to enroll in their campus based programs. The campus also has a vibrant online education program. 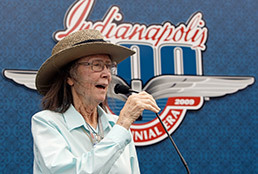 When you are watching the Indianapolis 500 on Sunday and hear Mari Hulman George command, "Ladies and Gentlemen...Start Your Engines!" make sure to think of Saint Mary-of-the-Woods College.